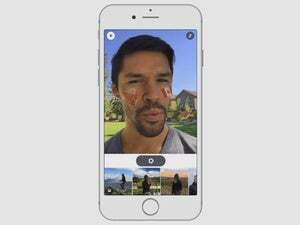 Instagram debuted Stories two months ago, and it's already proved to be a popular feature with its 500 million users. Instagram arrived late to the ephemeral messaging trend—so late that it almost missed the boat entirely—but the photo-sharing network is seeing success. 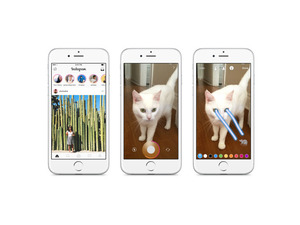 On Thursday, Instagram revealed that its Stories feature gets 100 million daily viewers, about one-fifth of Instagram’s 500 million monthly active users. Instagram, which just turned six years old, debuted Stories in August to let its users share video clips and photos that disappear after 24 hours. You can also decorate your images with text, drawings, and emoji. Sound familiar? It’s a near clone of Snapchat Stories (down to the name), and Instagram owns up to the similarity. By comparison, Snapchat boasted 100 million daily users in April, 60 percent of whom use its Stories feature to share live media, according to Bloomberg. Snapchat Stories see about 10 billion views a day, but that counts users who view multiple stories in succession or throughout the day. Snapchat’s success with disappearing video and photos clearly played a role in Instagram’s decision to include an identical feature. Why this matters: Even though Instagram did not invent Stories, the company does get credit for simplifying the feature so that it’s more intuitive and accessible for a bigger audience. And just two months after the launch, a bigger audience certainly has embraced it. Still, Snapchat retains a few moments of delight that Instagram has yet to imitate. In Snapchat, you can add filters based on your location or turn your selfie into different animated characters. If Instagram can capture that magic, it just might beat Snapchat at its own game.